This picturesque fishing port lies about 40 km due south of Lisbon and is situated nestled at the foot of the hills of Arrabida and inside a sparkling blue bay, protecting it from cold northerly winds. 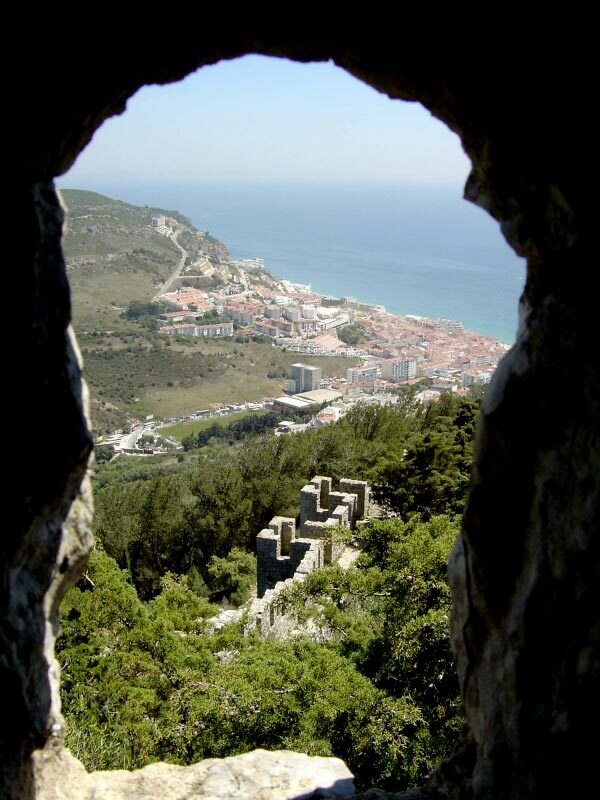 Since the 1960’s Sesimbra has become increasingly popular with weekenders from Lisbon, looking for an easy escape from the city and a pretty place to eat fantastic fish, stroll on the promenade or relax on the pretty beach with its enticing clean water. However, with its narrow and often steep streets, a beach still full of brightly coloured boats and a large sector of the community still dependent on the catch, Sesimbra retains much of its fishing village atmosphere. The many local churches are still regularly full of the faithful praying for a good catch and the safe return of their men, and the daily catch is what makes the fare at local restaurants so popular. It’s deep sea fishing industry has made it a centre for sport fishing since the 1950’s when Manuel Frade captured the first swordfish (espadarte) with a rod and reel. Since then many have come to try their luck with the ‘gladiator of the sea’ although nowadays many prefer to practise the ‘catch and release’ method as fish stocks dwindle. Even so, tuna and swordfish still star on many a local menu. Atop the hill behind the town, on the site of a Moorish castle captured in 1165, stands the restored medieval castle built in the 13th century by Dom Sancho II. Its five towers and walls protect something even older, the 12th century church of Santa Maria which offers an example of popular rural religious architecture. This modest Baroque church is well worth a peek inside as it is richly decorated with beautiful azulejo tiles. Over the centuries this small town remained popular with the Portuguese royals; Manuel I and Joao III spent time living here and Joao IV was responsible for various improvements during his rule, notably the diminutive 17th century fortress of Sao Teodosio built to protect the port from pirates. The church of the Misericordia boasts a 15th century painting of Nossa Senhora da Misericordia and a late-medieval statue of the Senhor das Chagas (Our Lord of the Wounds) which, legend has it, appeared from the sea, was picked up by local fishermen and brought back to the church. This is celebrated every March with a local festival. The church of Santiago also deserves a visit with its beautiful late 17th century tiles. Furthermmore, besides the March festival, Sesimbra boasts many a fair and feast day throughout the year one of which in Feb/March involves street theatre and another in late June during which the town comes alive with music, brightly coloured decorations and parades to celebrate the Festa dos Santos Populares. About 10km outside of the town lies a true gem. Cabo Espichel is an impressive promontory with breathtakingly large cliffs which drop to the pounding Atlantic. Sitting proud, if somewhat neglected, at the end is a sanctuary dedicated to Nossa Senhora do Cabo to which pilgrims would travel and be housed in the now dilapidated lodging houses which flank it. Dating from the 17th century, the church contains typical blue and white tiled representations of religious stories alongside many treasured paintings and a tribune designed for the visiting kings. Situated precariously on the edge of the Cape, a few metres from the main church, is the primitive little white chapel at the heart of the legend of Our Lady of the Cape. Various versions tell the same basic tale that many moons ago a brightly lit image of the Virgin would appear and save sailors from shipwreck in storms. One such lucky soul sold all he owned to build the chapel in her honour, where he would live the rest of his days alone and requested that his crew visit his hermitage every year, hence the annual pilgrimage which continued for many centuries. Cabo Espichel also attracts dinosaur enthusiasts, especially for the rock containing a footprint attributed in the legend to the mare which carried Our Lady of the Cape, but in fact apparently belonging to a dinosaur of which there is much evidence in the area. Also well worth a visit if in the area are the surrounding Serra da Arrabida hills themselves. Glorious views of the coast and the countryside abound as you drive along the knife-edge ridge in this nature reserve which hides in its abundant flora a Franciscan monastery and various churches.